Jordan Paper & Cardboard Factories has been manufacturing packing cartons for over 40 years and with our extensive knowledge of the industry you can have confidence in us providing you with a quality product, on time and at a competitive price! 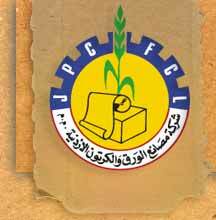 Copyright © Jordan Paper & Cardboard Factories Company.PLC 2014. All Rights Reserved.